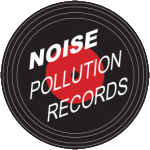 Every year Noise Pollution finds the greatest Holiday Music treats. We’ll be getting our first batch of Holiday goodies in soon, so be sure to stop by. From classics to covers, we’ve got your favorite Holiday tune. Or if you’re a Humbug, we’ve got music for you too.